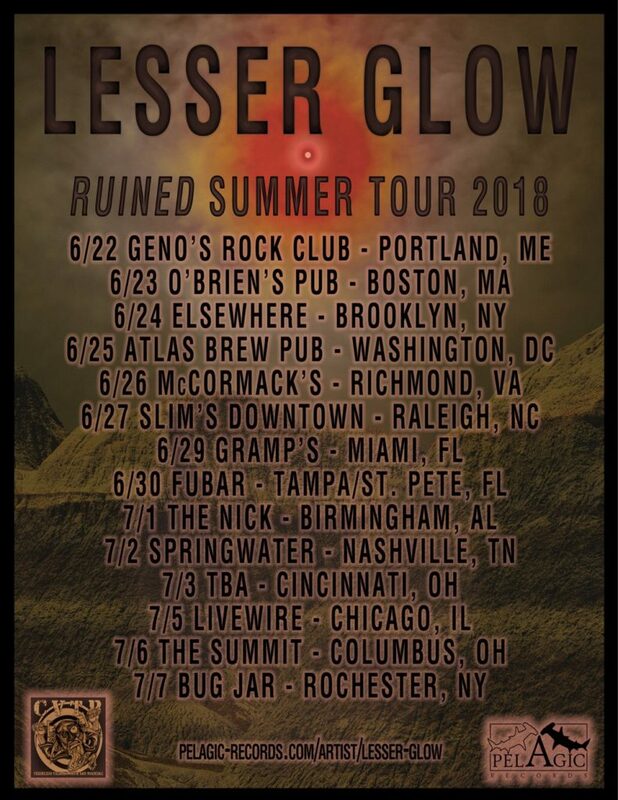 Boston-based post metal/doom merchants LESSER GLOW — featuring within its ranks former members of BlackElm, Irepress, and The Proselyte — will kick off a two-week US tour this week. Slated to run from June 22nd through July 7th, the journey follows the recent release of the band’s Ruined debut, out now on Pelagic Records. See all confirmed dates below. 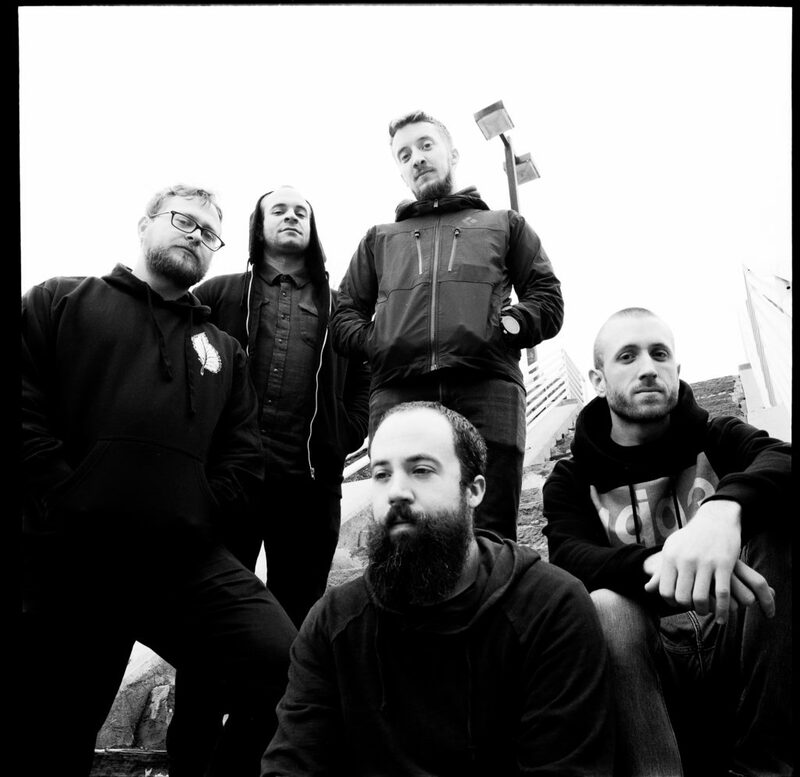 View the band’s previously released videos for “Under The Polar Shade,” “Vacant Throne,” and the album’s title track below. Ruined is out now on June 8th on CD, LP, and digital formats. For orders in North America visit THIS LOCATION, for Europe go to THIS LOCATION and for digital orders go HERE. In today’s world, there is an undeniable, ever-growing sea of noise. Like an ocean, it swirls together the sounds of humanity into a churning vat of anonymity, and we are drowning. It is from this abyss that LESSER GLOW was born. A necessary change from the common kind, this Boston five-piece brings an undeniable heaviness, with lyrics and music coexisting in the same beautiful, dynamic, and volatile space. Heavy but not excessive. Massive yet not gratuitous. Meticulous. Focused. Direct. Necessary. 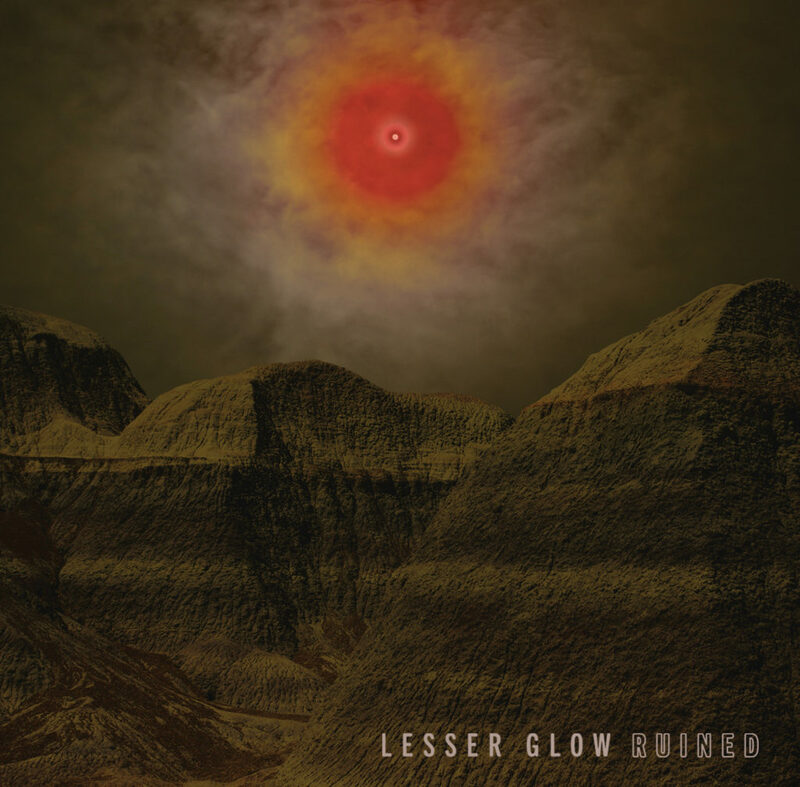 The idea of LESSER GLOW grew as a response to the unrealistic progression of heavy music in recent years… generally feeling over-technical, over-produced, and sometimes entirely fake. The lineup of the band came together organically, “though now the combination of individuals feels incredibly fortunate,” comments Nault. The fact that all members are experienced professionals – engineers and session musicians – has certainly helped LESSER GLOW to accomplish the simplicity that makes this record what it is: Heavy.